Technologies have enhanced and enabled the ability of people to live independently and safely. All residents in our St Andrews Independent Living Units have a 24-hr emergency call system in place and assistance is only a matter of activating a wrist or pendant alarm to alert the response centre that they need help. In 2010, St Andrews offered this service to the wider community. Emergency call systems can be installed in the private homes of people requiring this extra security option, giving them a further degree of independence and reassurance. Computer access is available in all our rooms, enhancing our residents’ quality of life through being able to communicate with their families via email or Skype. Interactive learning or activities are also made possible with this option. 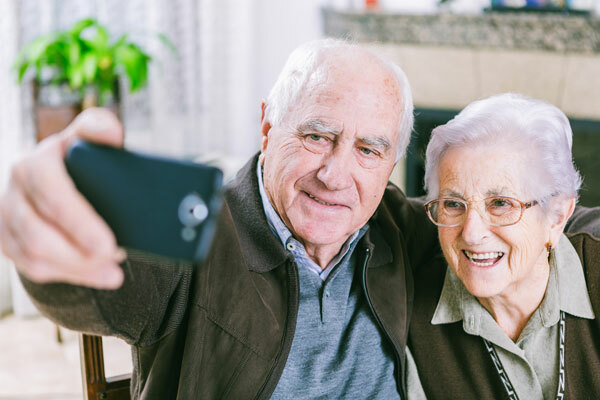 Stay in touch with your friends and relatives at our residential facility by emailing Leisure and Lifestyle with stories and photos. Staff can print these for your resident and reply on their behalf. St Andrews provides iPad and android tablets for loan to residents. If you are thinking of purchasing a tablet for your loved one, why not ask Leisure and Lifestyle to try before you buy. St Andrews is looking at introducing Netflix, Foxtel or Austar so residents can access them for their pleasure.